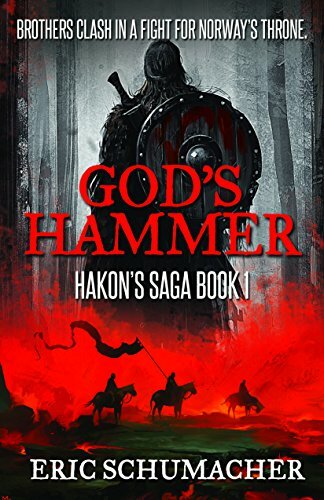 God's Hammer is a Viking historical fiction novel that tells the story of Hakon Haraldsson and his brutal fight for the High Seat of Viking Age Norway. God's Hammer is available for print and Amazon Kindle in English-speaking markets. To find the book in your market, click here. If you prefer listening to your books, God's Hammer is also available in audiobook format. - Mercedes Rochelle, author of "Heir to a Prophecy"